Ah, pumpkin season is a magical time for me. An October baby, horror aficionado, and lifelong lover of orange, I live for summer's heat but Halloween-time is a soul song. As a child the thing I remember most vividly about the pumpkin is carving it with mom, seasoning the delicious seeds (pepitas) then baking and eating them, but how sinful of us to ignore that pumpkin flesh! The pumpkin's fleshy interior is good for more than just pie or seasonal lattes. 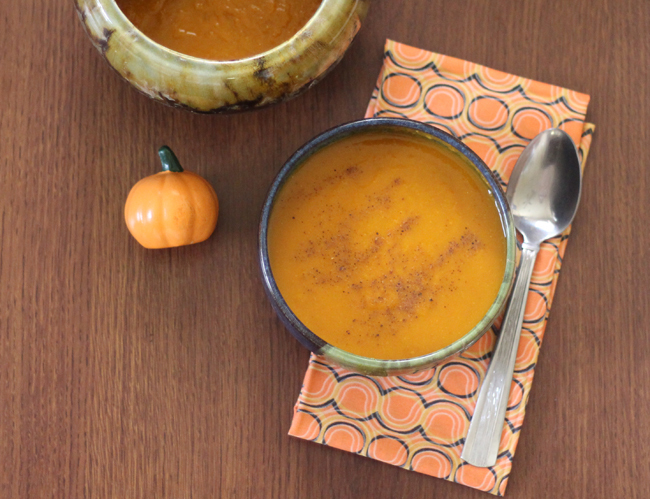 Squash soup is one of my season favorites. It's buttery, savory, and extremely nutritious- packed beautifying and immune system boosting A and C vitamins. I've tried different variations over the years, but the one below is my favorite! Directions: Cook your vegetable broth on medium heat, stirring in your leek, ginger and onion powder and miso until it's dissolved. Add the rest of your ingredients and cook for 15 minutes. Top your soup with nutmeg, more ginger or onion powder, or even add some freshly sliced scallions or green onions. You can get creative with this recipe, but it's very simple and delicious as is. 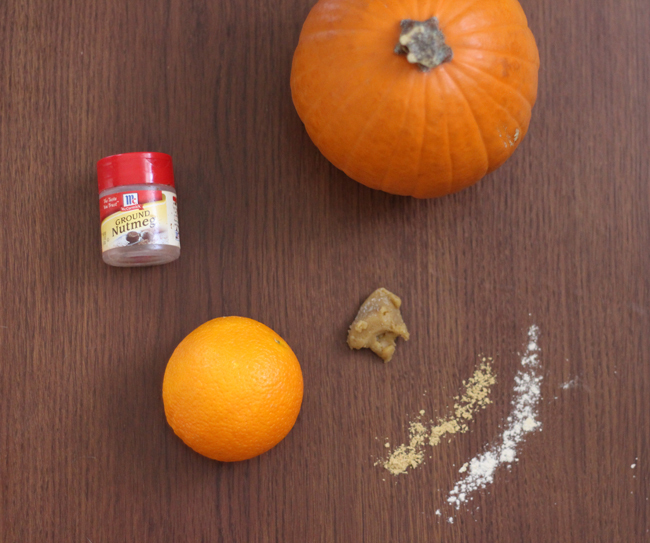 It's an excellent use for your pumpkin this season. Of course, feel free to sub pumpkin for any other squash. Acorn or Butternut Squash soup is delicious! Get your vitamins in and find another use for your squash or canned pumpkin this fall! Does anyone else have delicious squash or fall recipes to share? I'd love to read them. No prob :) it's delicious! It works together perfectly, surprisingly. Hm, love the orange juice addition. I think I shall try this! 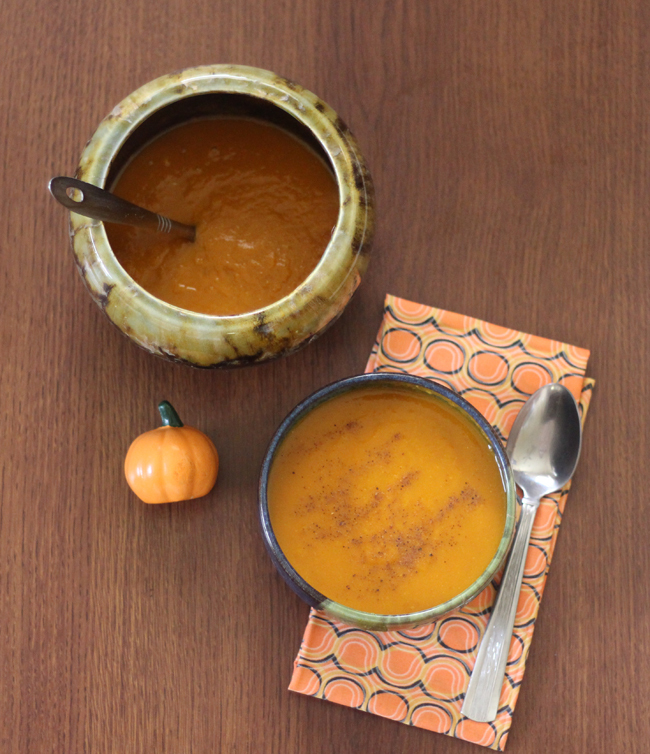 Pumpkin soup is one of my favourite soups! I like how you can add different things to the mixture. I've never tried it with orange juice, so I'll definitely give it a go, I think I'll love it. I do like to add an apple to make it sweeter.